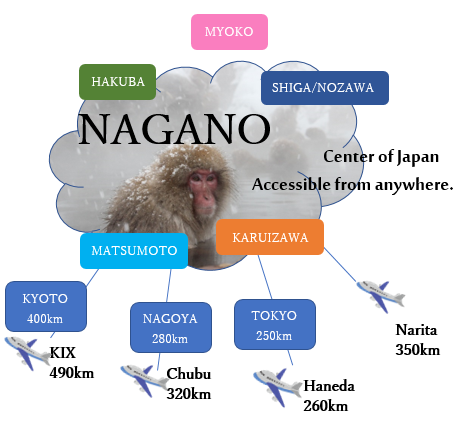 Nagano is located at the center of Japan. 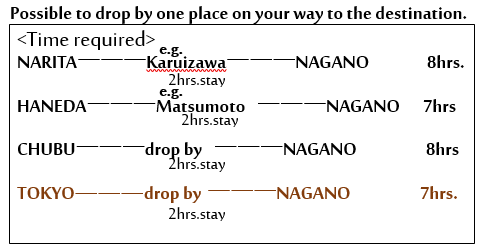 Easy accessible from each Airport KIX,Centrair,Haneda,Narita. 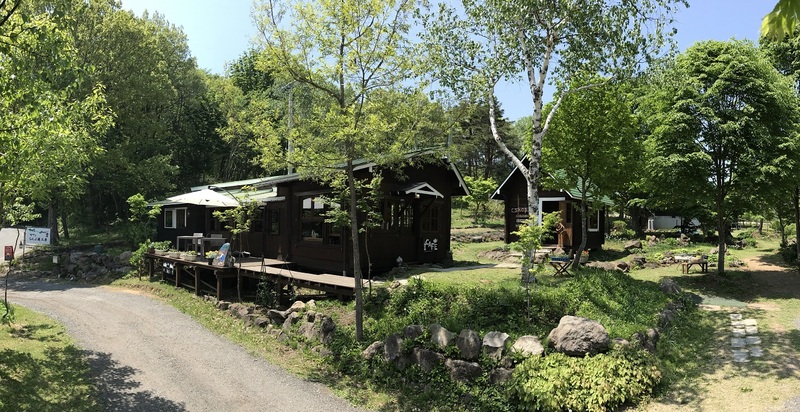 Depend on your request,TABIYA ICHIBEH guides you.